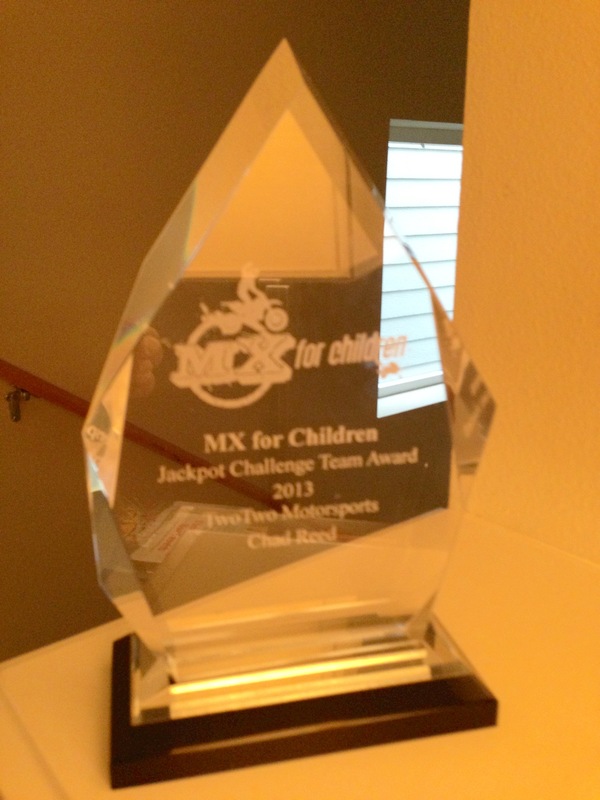 MX for Children and Feld Motorsports announced today that Chad Reed and Team TwoTwo Motorsports won the inaugural Jackpot Challenge for Teams. Chad’s team used social meeting to help recruit fundraisers to the Jackpot Challenge — a North American fundraising drive that support groundbreaking research at children’s hospitals. 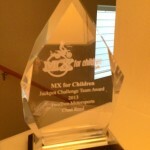 Broad participation from teams and riders helped MX for Children raise more than $30,000 for research at children’s hospitals in several Supercross stops including Houston, Salt Lake City, Seattle, St. Louis and Toronto. TwoTwo Motorsports fundraisers garnered nearly $12,000 for the cause. Team Monster Energy Kawasaki came in second with nearly $5,000 from their fundraisers. The podium was rounded out by Rockstar Energy Racing with more than $2,500 raised in support of the cause. MX for Children thanks all of the teams that participated including BTO Sports – KTM, Honda Muscle Milk and Monster Energy Pro Circuit Kawasaki. Chad Reed will be given the Jackpot Challenge Team Award on the mainstage in Las Vegas this weekend. While the increased support from the teams and riders is great, the real horsepower behind MX for Children fundraisers are the kids who go out and raise money door to door to support their local hospital. If they raise a minimum of $500, they are treated to the Inside Line Experience — a backstage pass to Supercross — in their local city. But some go on to compete for the Jackpot Challenge prizes for which the top award is a VIP trip for two to Las Vegas to get the Inside Line Experience at the Supercross finale. This year MX for Children recognized two efforts for the top prize — repeat winner Koen McLeod with the help of his sister Raea and Langdon Orgill. Both Koen and Langdon raised more than $3000 (Koen and Raea raised $3900!) for their local hospitals research efforts. 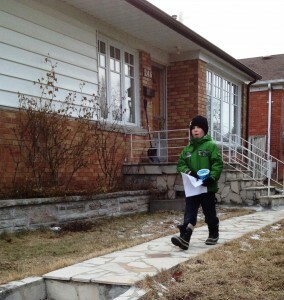 Koen and his sister raised money at their local track and even went door to door for months to win the prize. Second place prize, a $500 gift card provided by our generous website sponsor — the Motorcycle Superstore — went to Michael Redenbaugh who raised more than $2100 for Seattle Children’s Hospital. We are told that Michael has his eye on a black Shoei helmet but we don’t have a pic of him in it yet! 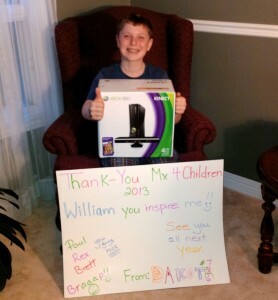 Third place prize, an Xbox 360, went to long time MX for Children support Dakota Yaskow from Ontario. Dakota already had an Xbox and decided to donate his to a family in need. That is the spirit Dakota! Thanks to ALL of the fundraisers and industry participants who have helped us keep this program growing and supporting critical research at children’s hospitals around the country. The funds raised support research into improving treatments and outcomes for hydrocephalus — the #1 cause of brain surgery in kids. This entry was written by admin, posted on May 2, 2013 at 9:00 am, filed under Inside Line Experience, Jackpot Challenge, News. Bookmark the permalink. Follow any comments here with the RSS feed for this post. Post a comment or leave a trackback: Trackback URL.